I haven’t picked up a Mark Millar comic since I bought the first issue of his series EMPRESS back in 2016, but I was definitely intrigued when I first heard about this new series of his. Edison Crane is the World’s Smartest Man, a polymath who is just as skilled at athletics and music as he is at mathematics and science. The issue opens with a flashback to Edison at age 11, where he’s already in the star players of his exclusive high school’s polo team. After getting beat up by some of his jealous 17-year old fellow team members, the young boy spends a weekend watching various martial arts action movies so that he can memorize every move and then goes back to school the next Monday and uses his newfound mastery of the martial arts to beat the crap out of his tormentors. A year later Edison is seen performing delicate open-hard surgery on his friend in his own bedroom. Edison has a natural curiosity which we see was encouraged from a very early age by his mother, while his father, who was a successful businessman in his own right, thought was wasting his intelligence on trivial pursuits and essentially disowned him and gave him one dollar as his “inheritance” when Edison was a teenager. Edison was nonplussed and pledged to turn that one dollar into one billion dollars within a year. Cut to present-day, and Edison is a world-famous businessman, professor, playwright, and musician who also performs dangerous and complex stunts for charity in his spare time. He’s contacted by representatives of the Australian government to help them investigate a series of strange occurrences which he quickly deduces are the precursor of an invasion from a parallel reality. Color me intrigued. This was one of the best first issues I’ve ever read in a long time. I was immediately captivated by the lead character and his world, and just enough information was revealed to interest me while still leaving plenty of mystery to compel me to want to come back next issue to learn more. For those familiar with Millar’s writing I think you will clearly see the similarities between the way he writes Edison Crane and the way he’s written super-intelligent men in previous comics, such as Lex Luthor in SUPERMAN: RED SON and Ultimate Tony Stark in THE ULTIMATES and Ultimate Gregory Stark in ULTIMATE AVENGERS. One scene, where Edison is shown simultaneously playing multiple games of chess against separate chess masters is taken straight from Red Son. That, in particular, seems to be a common trope Millar uses to display someone’s intelligence (somewhat like he’s shown other characters in different books to insult Michael Moore as a way of denoting that they’re politically conservative). 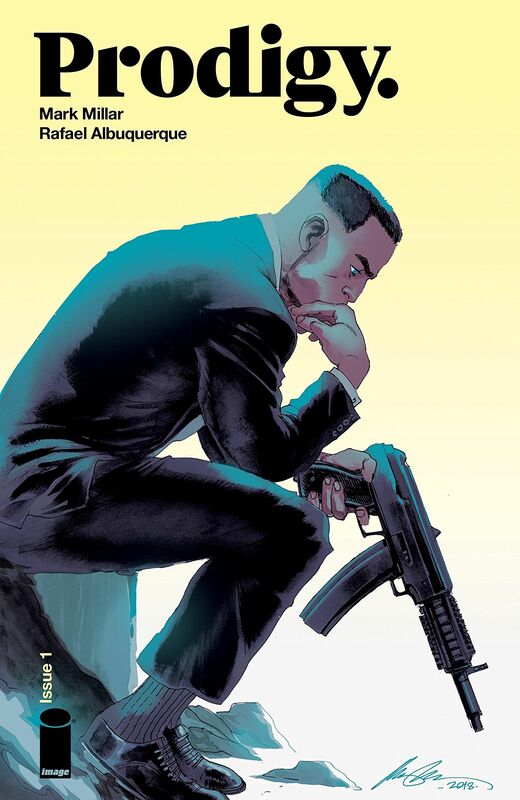 And I daresay that it took someone like Mark Millar to write a character like this, as I could easily see certain critics immediately denouncing Edison as a “Marty Stu” if he had been written by a Black writer, but I see what Millar is doing here. It is similar to what Millar did in his miniseries HUCK, which was about a man with powers similar to those of the Golden Age version of Superman who uses his abilities to help people but doesn’t feel the need to wear a bright costume and cape to do it. In this case, Edison Crane is essentially Tony Stark or Bruce Wayne if those men decided to use their wealth to fight crime but didn’t feel the need to adopt a secret identity to do so. It’s also a much better effort than the last time Millar wrote an intelligent Black Scientist, but the less said of Tyrone Cash, the better.